The recent $1 billion funding of Flipkart and $2 billion commitment to India by Amazon, has made news everywhere and everybody is talking about how it will impact the Indian e-commerce space, the other players, what will it mean to the Indian consumer etc. Some are debating who will win and who will end up number one. Numbers are being compared and future is being debated. In my opinion it's not about who will win or be number one or two or three. It's about how can you create value for your customer, your shareholder /investors, and partners. And that will be decided based on what they chose to do with the money that is being raised or invested today and in the future. Yes there will ultimately be some No 1 and No 2 and 3. But its too early for that now. Let's talk about what Indian e-commerce needs and what are the key things that will decide the future. And as I always like to do - let's look at it from the Customers perspective. And for the sake of this article let's call the buying Customer as Customer 1 and the Seller as Customer 2. After all both are customers for Marketplace owners. Provide the customer the best choice of products in a variety of categories. 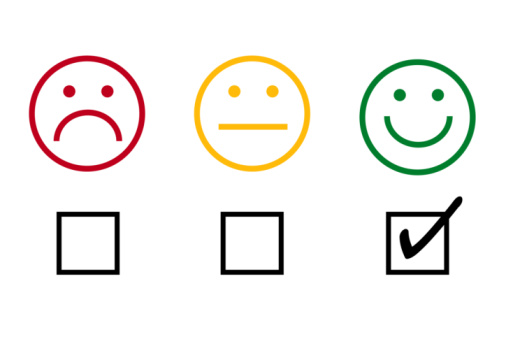 In the Marketplace Model that means having more and varied sellers - Customer 2 that is. The ease of finding these products and being able to quickly decide on what to buy. Which means the platform and search and categorisation and reviews and suggestions etc. Pricing of products - competitive pricing. Easy and fast delivery and returns. Ability to easily add reviews. Ability to create wish lists and fan clubs and share & discuss opinions and lists. To be able to attract more of them with better returns (read lower commissions for the marketplace itself). Backend ease of signing up, uploading products, and images etc. Helping them market their products better in terms of keywords, multiple images, handholding new sellers, providing them advertising options on the site itself, tools to help automate their processes and of course seller support. Ability to help sellers reach out to a larger audience by offering packaging and shipping options across the country and internationally at a reasonable cost. The lists above are not comprehensive but I have just tried to list some of the most common or essential requirements here. As you will see these overlap to some extent. Both require a robust backend, a easy to navigate website, a robust customer service team, warehousing and delivery capabilities and marketing muscle to attract new buyers and sellers. Now it's nobody's guess where the billions that are being pumped in will be spent - On creating more robust back-end, on creating more user friendly apps and mobile discovery and buying platforms - as in India growth will come from the Mobile, on warehousing and delivery -specially so in India where third party services are still being created, on marketing - to attract new buyers and sellers, on building a solid support team and infrastructure, on offering lower prices - taking a hit on their own margins for quite some time to come to give the buyer an attractive price as well as the seller a decent enough margin. Now if we look at Amazon, Flipkart or SnapDeal they are all working toward all of these. The race for money is to be able to do these quickly and scale at a rapid pace. 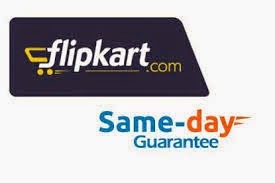 Yes Amazon has done this before, has the experience and the platform but Flipkart has the first mover advantage in India - as of now & SnapDeal has been nimble and efficient to change from a discount based model to a marketplace one. I work as a consultant with clients to set up and increase sales on Amazon.com in the US, UK and other markets and in my experience their focus on Customer first - and am talking of Customer 1 here, is unbelievable. Their concept of winning the Buy Box - where if the multiple sellers are selling the same item, the seller with the best price, reviews, history (based on an algorithm) gets the buy box, is meant to ensure the customer always gets the best price. I have seen them discount products on their own with no reduction in seller margins to help the seller - Customer 2, sell more. 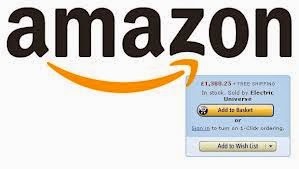 Be it Amazon Prime membership for buyers or the FBA program for sellers, Amazon has a unrelenting focus on their customers. Same day shipping to ease of returns all are handled in a way that has made them No 1 in the US and many other markets. 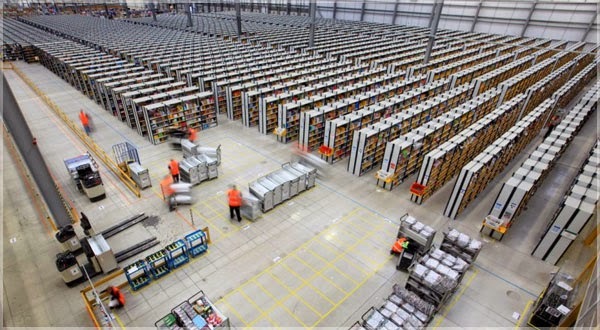 Their automated warehouses and packaging and delivery systems are case studies in themselves. Having said that Flipkart or even SnapDeal here in India have delighted the customer with their prompt deliveries, attractive pricing and responsive customer service. Lets understand that e-commerce in India happened much before they started but Flipkart, Snap Deal, Myntra and some others are the ones who converted Indian buyers into e-shoppers. They too have developed robust backend systems, have adapted the best from e-commerce sites from across the world, are setting up warehouses and delivery mechanisms etc. So yes Amazon has the experience & the money. 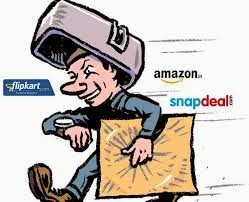 But Flipkart or SnapDeal have done a tremendous job so far and going by the confidence that their investors are showing in them I don't think the No 1, 2 or 3 place can be decided very soon. What is certain is that the Indian market still has a long way to go and all these companies stand a fair chance. How fast they can get the funds required and how intelligently they can use these funds to satisfy their customers (1 & 2) is what will decide who leads and who lags. Till that time the game is still open. And wait - Others such as Alibaba from China - with their IPO in the US on the way and their launch in the US OR even Rakuten - The Japanese major who bought Buy.com in the US may still decide to enter India and shake up the space even more. So wait and watch who attracts and satisfies the customer better for the best is yet to come. Would love to hear more views on this so if you agree? or disagree? Do write in with your comments below. Meanwhile search, compare and buy.